Every year, a few albums stand out from the rest, getting replayed repeatedly, both on the stereo and in my head. Just Add Water is one of these – an album which could prompt a much longer discussion than is possible here. Nico Soffiato studied philosophy in Padua, where he grew up; he then continued his studies at UC Berkley, before deciding to change his focus to music and studying at Boston's Berklee College of Music for two years. It's not surprising to learn that he's studied philosophy, because his music has a cerebral quality that demands repeated listening – and from which the rewards are always proportional to the depth of one's attention. The first tune, Alexander (penned by bassist Giacomo Merega) is typical of the complexities and rewards of this music. It opens with a simple, shimmering guitar motif from Soffiato. This is joined by the rhythm section: a rocking beat and a busy, but catchy bass line are overlaid with the theme on sax, in counterpoint to the guitar line. The performance doesn't follow a conservative pattern such as returning to the top and improvising over the changes; rather, the tightly structured first section is followed by a meandering interlude of free improvisation (without metre), before returning to the guitar and sax theme and then the coda. The many metre changes throughout the performance surprise and delight the listener. As is the case throughout the album, one feels compelled to re-listen in order to understand how the performance works – and repeated listening is generously rewarded: one is left marvelling at the mixture of freedom and structure, at the interweaving lines and the ability of the band to move seamlessly from one time signature to the next and make musical sense throughout. Soffiato is not a guitarist given to show; rather, he is a player and composer to whom one returns repeatedly, to unravel the threads. He is reserved in his use of the guitar as a chordal instrument, often weaving single lines behind Videen's smooth-toned alto sax, rather than comping with chords – an approach which adds to the feeling of space which is felt throughout the album. His use of a solid body Telecaster guitar (to which effects are occasionally added), along Meregat's often rhythmically complex electric bass, adds to the contemporary sound of the band. It's heartening to hear such a fresh and adventurous debut album as this: Just Add Water leaves the listener eager to hear what the quartet will come up with next – and optimistic about the future of jazz. 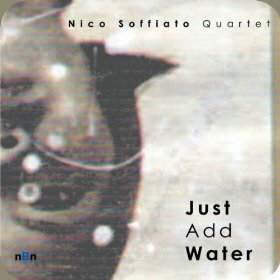 Nico Soffiato is interviewed by Jason Crane on his excellent podcast, The Jazz Session. Documentary photographers have traditionally been drawn to adversity: deprivation, crisis and aftermath; less often have they looked at the privileged. In Luxury, Martin Parr's eye cuts like a laser through artifice as he looks at the global culture and adornments of wealth. I say culture, because this book left me with the impression that wealth is a mono-culture: while photo essays about the disadvantaged have tended to be revealing of cultural distinctions, the wealthy in this book appear to be wearing similar designer labels (the exceptions being traditional dress found in Dubai, Abu Dhabi and Delhi), attending similar social functions – and apparently aspiring to similar identities. 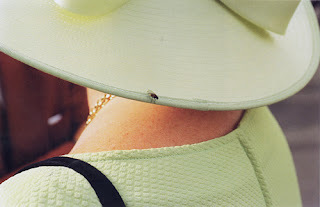 One memorable photo is focused on a fly on the rim of a woman's hat: beneath immaculate dress and in spite of attempts to achieve exclusivity through conspicuous consumption, we remain part of, and subject to, nature – flies land on everyone. This review is of a library copy, but Luxury is now on my shopping list: every time I look at it, I make new discoveries.